During the second tranche of Sovereign Gold Bond (SGB) Scheme from 18th January, 2016 to 22nd January, 2016, as per initial figures, 3.16 lakh applications were received for a total subscription of 2790 Kilograms of gold amounting to Rs. 726 crore by the Banks. The actual figure may vary as comprehensive information from all the authorized receiving agencies is under compilation. These Bonds will be issued on February 08, 2016. The top ten receiving agencies in terms of subscription amount are SBI, Indian Bank, Syndicate Bank, ICICI Bank, Bank of India , Punjab and Sind Bank, Andhra Bank , Canara Bank, PNB, and Central Bank of India. The trend during the Second Tranche of SGB shows that the scheme is gradually picking-up amongst the investors with increase in awareness and more clarity about the provisions of the scheme. The Second Tranche of SGB was kept open from 18th to 22nd January, 2016. The Finance Minister Shri Arun Jaitley had addressed the CMDs of the banks through video conference on 14th January, 2016 to discuss their preparedness for the second tranche of the Sovereign Gold Bond Scheme. Review meetings were also held with the Banks in Mumbai and Delhi by Shri Shaktikanta Das, Secretary, Economic Affairs. To increase the awareness amongst potential depositors, the Government had also launched the media campaign through AIR, FM radio, Print media, Mobile SMS, facebook and twitter. It may be recalled that during the First Tranche of SGB issued during November 2015, 62169 applications were received for a total subscription of 915.953 Kilograms of gold amounting to Rs 246.20 crore by the Banks and Post Offices. Earlier, the Government had launched the Sovereign Gold Bond (SGB) scheme on 5th November, 2015. The objective of the scheme is to reduce the demand for physical gold and shift a part of the domestic savings used for purchase of gold, into financial savings. 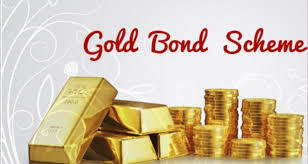 Sovereign Gold Bonds are issued on behalf of Government of India in tranches by RBI, from time to time, on payment of the required amount in rupees. The Bonds are denominated in grams of gold and are restricted for sale to resident Indian entities including individuals, HUFs, trusts, Universities, charitable institutions. Minimum permissible investment is two grams of gold, value of which is to be paid in rupees. The maximum amount which could be subscribed is 500 grams per person per financial year. Government has fixed the rate of interest on gold bonds for the year 2015-16 as 2.75 % per annum, payable on half yearly basis. The tenor of the Bond is for a period of 8 years with exit option from 5th year onwards. On maturity, the investor will get the equivalent rupee value of the quantum of gold invested at the then prevailing price of gold. Detailed information about the scheme is also available on the website www.finmin.nic.in/swarnabharat and on the toll free number 18001800000. One of the significant steps taken by Central Board of Direct Taxes(CBDT to boost investment sentiments among MNCs is the landmark Framework Agreement signed with the Revenue Authorities of USA in January, 2015. This agreement was finalised under the Mutual Agreement Procedure (MAP) provision contained in the India-USA Double Taxation Avoidance Convention (DTAC). The agreement seeks to resolve about 200 past transfer pricing disputes between the two countries in the Information Technology (Software Development) Services [ITS] and Information Technology enabled Services [ITeS] segments. More than 100 cases have already been resolved and some more are expected to be resolved before the end of this fiscal. Prior to resolution of disputes under the Framework Agreement the US bilateral APA programme was closed to India. The success of the framework Agreement in short period of one year has led to the US Revenue Authorities opening up their bilateral APA programme to India. The USA is expected to begin accepting bilateral APA applications shortly. The MAP programmes with other countries like Japan and UK are also progressing well with regular meetings and resolution of past disputes. The CBDT is confident that a combination of a robust APA programme and a streamlined MAP programme would be helpful in creating an environment of tax certainty and encourage MNCs to do business in India.